Covering Stamford Oakham & Rutland & all surrounding area's. I am a very patient instructor with a very high first time pass rate. I offer help with theory tests,provide lesson hand out material..i also offer gift vouchers for birthdays & xmas also available for that surprise gift..
Lisa is a great driving instructor. Her lessons are enjoyable and with Lisa's great skills you are able to pick up driving very quickly. Thanks for helping me pass 1st time in such a short amount of hours.. 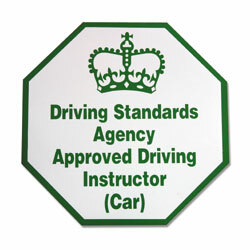 I am a DSA approved female driving instructor offering a professional, reliable and friendly service. I specialise in nervous pupils and people who just want that extra little bit of extra patience whilst learning to drive. My tuition vehicle is the new Vauxhall Corsa with fully adjustable driver seat & steering wheel. Power assisted steering & Air-conditioned for your comfort. I provide one, one and a half, or 2 hour lessons. Use the contact form to leave your details and I will call you back to discuss your requirements or you can email me using the contact form on the left of this page. I am a female driving instructor covering Stamford, Oakham, and Rutland area.